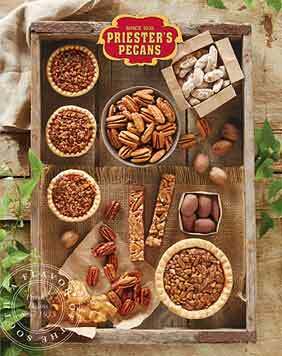 Truly one of the specialties of the house, Priester's Pecan Divinity item # 55 is the best around. 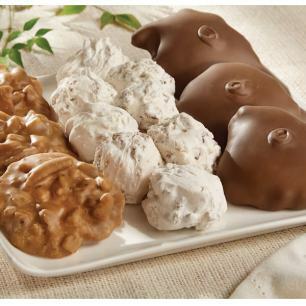 Creamy smooth and loaded with the finest pecan pieces, this Southern delicacy is a dream come true for divinity lovers around the country. 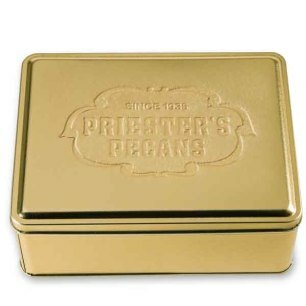 Hand dipped to seal in freshness and goodness, your gift of Pecan Divinity will arrive in a Gold Gift Tin. The larger 1 pound 10 oz. 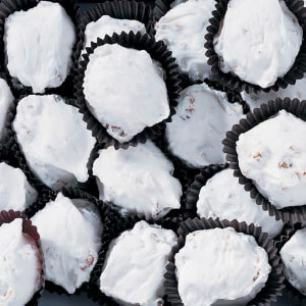 size of Pecan Divinity will arrive economy packaged in clear plastic bags, providing you the best value in freshness and taste. Also available are items 58, 131, and 160. 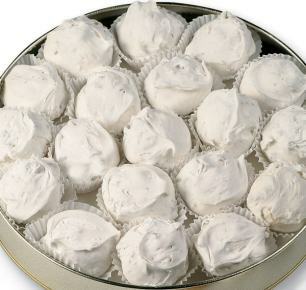 The divinity taste exactly like my grandma used to make. Thank you! Jun 11, 2014 | By Sydney G.
Wow! Talk about great Divinity! Your divinity taste just like my grandmother's and that is amazing because I thought she was the only one that could make it this great! Thanks Priester's. Owner Response: We are so glad you enjoyed the divinity! It's actually a family recipe that has been passed down through generations! Thank you for the review! 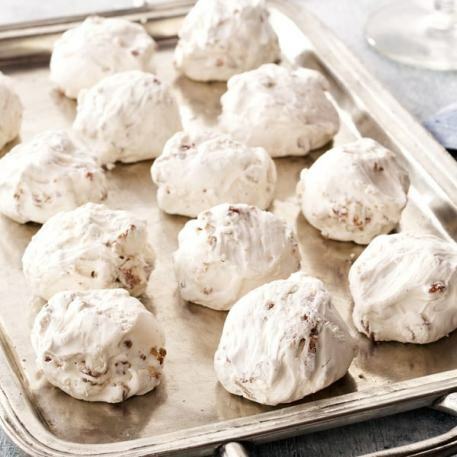 This is my first time eating divinity and it was like an explosion of sweet goodness in my mouth. Where has it been all my life. Owner Response: Thank you, we're so glad you enjoyed it!